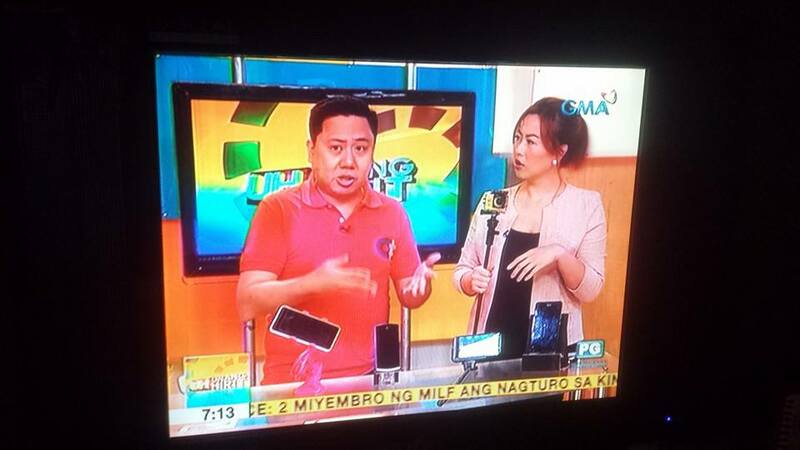 We haven’t been in contact with SKK Mobile for over a year now though we still publish their latest offerings in recent months. I’m glad that they still recognise this blog, and reached out to us if we can review the SKK V2. We did post about the SKK V2 last September and thought it would be an awesome device when it gets released. It’s finally here, so let’s unbox this thing and see if it can give us some good first impressions. 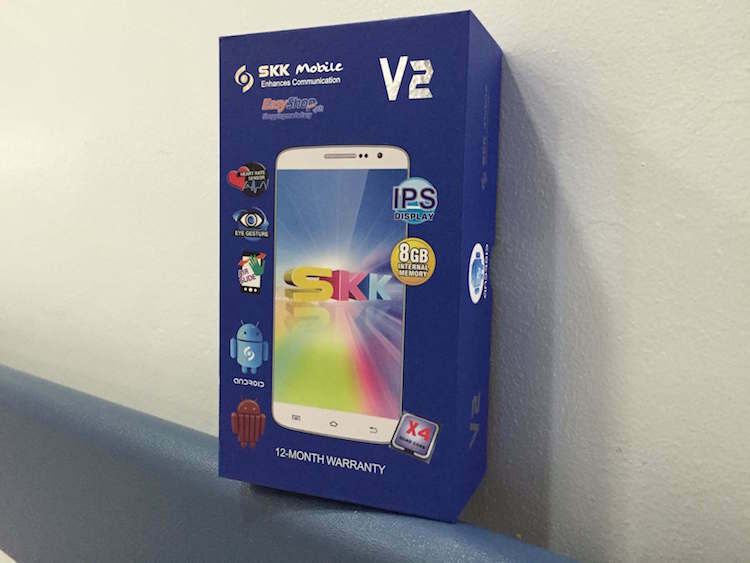 But first, let’s check out the SKK V2’s specs. 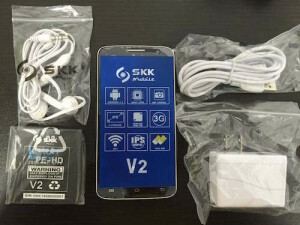 The package of the SKK V2 comes with a USB charging cable, USB charging head, earphones and the battery. Strange they didn’t include a screen protector which they used to include before. I’d never thought I say this, but the upon receiving the SKK V2 and opening it for the first time, I was WOW-ed by its appearance. 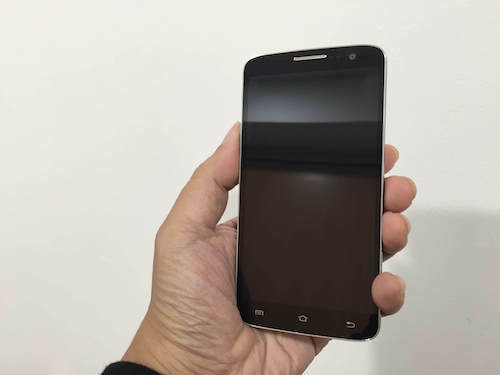 I kinda had the impression that it even the artwork before was kinda attractive, I reckoned that it would come out as a cheap-looking knockoff of a LG G2. Boy, I was so wrong. It does look like a G2 but with some silver accent on the sides. 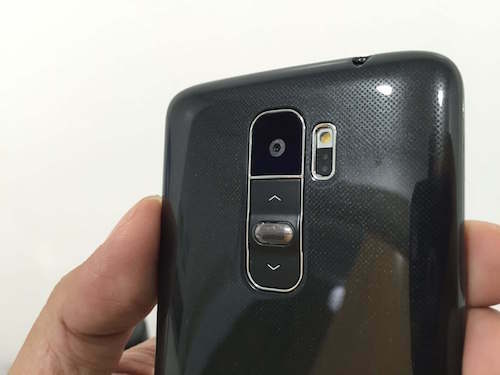 The back cover is not as curved as the G2 as I would remember, but it is still comfortable to hold. It’s made of plastic but I don’t think you will notice it because the back looks high-end. 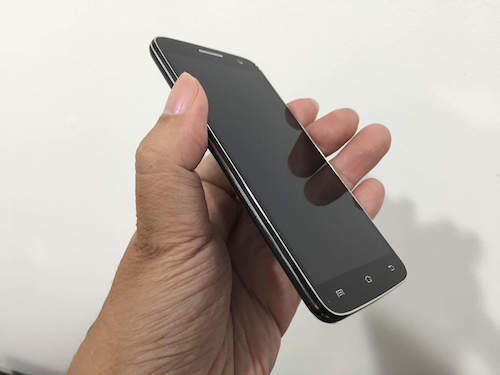 In fact, the whole appearance of the SKK V2 looks high-end. How in the world were they able to have a low SRP for this phone if it can pass as mid-ranger? Playing with the SKK V2 is smooth so far but I haven’t installed any apps yet. 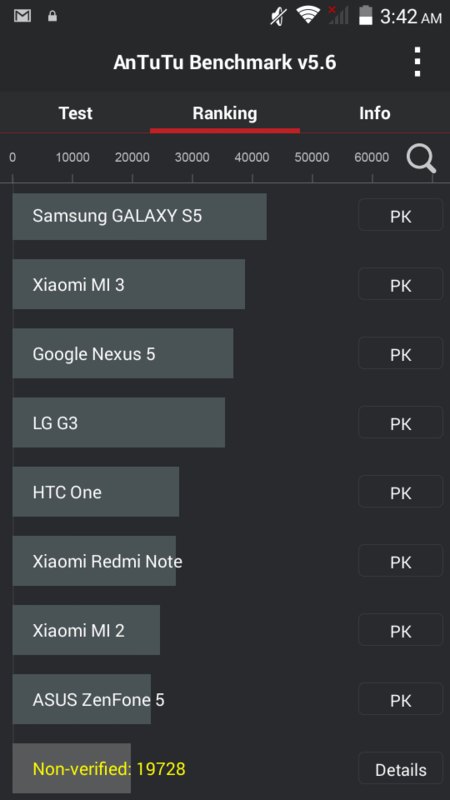 I have reviewed numerous smartphones with the MT6582 processor and they’re generally okay so I think I’ll get the same results here. 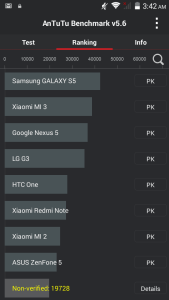 Speaking of performance, let’s check the Antutu Benchmark score of the V2. The results show that it’s below par compared to the more popular smartphones, but I will still check during my evaluation period if it can keep up with my usage. So in a nutshell, everything on the SKK V2 looks fine as of the moment. As always, I don’t want to include more information as they are reserved for my full review which should come out by next week.